Goa CET 2019: Goa Common Entrance Test (GCET 2019) is conducted to offer admission in engineering and various other courses. GCET is conducted by the Directorate of Technical Education, Government of Goa. It is a state level entrance exam (GOA CET 2019) which is conducted once in a year. The admission into MBBS course will be offered through NEET score and in B.Arch course through NATA score. In this article, candidates can get all the information related to GCET 2019. Read all instructions before fill the Goa CET 2019 exam application form. Submit the application form attached with documents like DD and self-attested copies of qualifying exam certificates/documents. Goa CET 2019 application form will be accepted at the location as per center opted on specified dates. Payment accepted through demand draft payable in the favor of Director of Technical Education at Panaji. Goa CET 2019 exam is a state level examination organized by Directorate of Technical Education (Goa). It offers admission in B.Pharma, BE courses, professional courses like BHMS, BDS, MBBS, BAMS etc. The Overseas Citizens of India (OCI), NRI, PIO card holders can also apply. Candidates applying for Dentistry, Homoeopathy, Allied Medicine and Health Sciences, Nursing should be of 17 years of age as on 31st December. Engineering, Architecture and Pharmacy courses are not having and lowest or higher age limitation. For AHS, homeopathy programmes, applicant must clear class XII or equivalent exams with physics, biology, chemistry and English and must score minimum of 50% marks in PCB (for general category), minimum 40% marks (for ST/SC/OBC category) and minimum of 40% marks (for PH category). For engineering programmes, applicant must clear class XII or equivalent exams with English, mathematics and physics as compulsory subjects and any 1 of the given subjects Chemistry/ Biotechnology/ Biology /Computer Science and must score minimum of 45% marks (for general category) and minimum 40% marks (for ST/SC/OBC category) in Physics, Mathematics and any 1 from Chemistry/ Biotechnology /Computer Science/Biology. Applicant have to pay Rs 1500/- as for GCET 2019 application fee. Make the payment through demand draft payable in the favor of Director of Technical Education at Panaji. 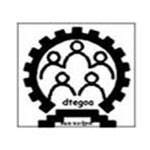 Goa CET 2019 Application form will be available on dtegoa.gov.in or goa.gov.in in January 2019. The form has to be submitted offline along with a photograph. Submit the application form attached with documents like DD and self-attested copies of qualifying exam certificates/documents. Form will be accepted at the location as per center opted on specified dates. Answers have to be marked on OMR sheet. 75 questions of Objective type. One mark for each correct answer and NO negative marking. Duration will be of 2 hours. GCET 2019 examination will be based on the syllabus of the 11th & 12th standard of Goa.